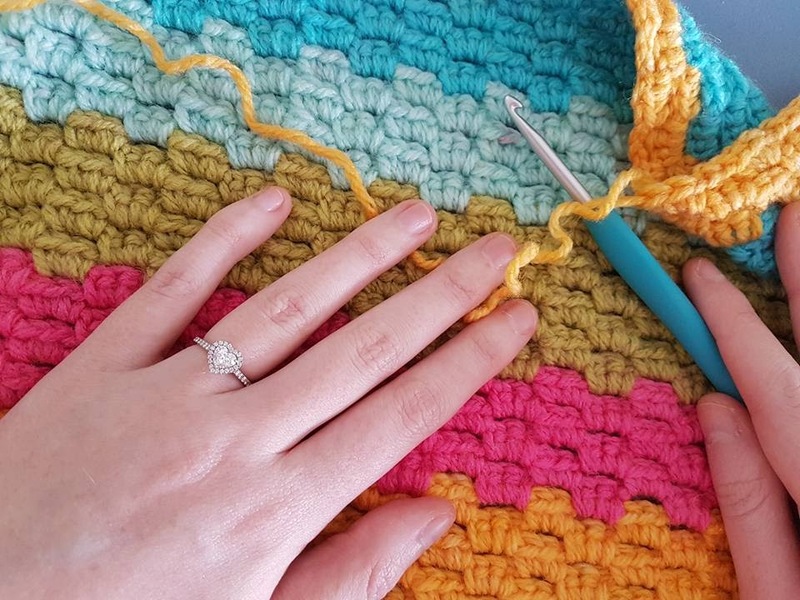 Free Pattern Friday is a monthly segment that I used to do on my blog but as my health deteriorated so did my motivation to keep a monthly segment going. These posts were always really popular and to be honest I really did enjoy writing them so I've decided to bring FPF back! 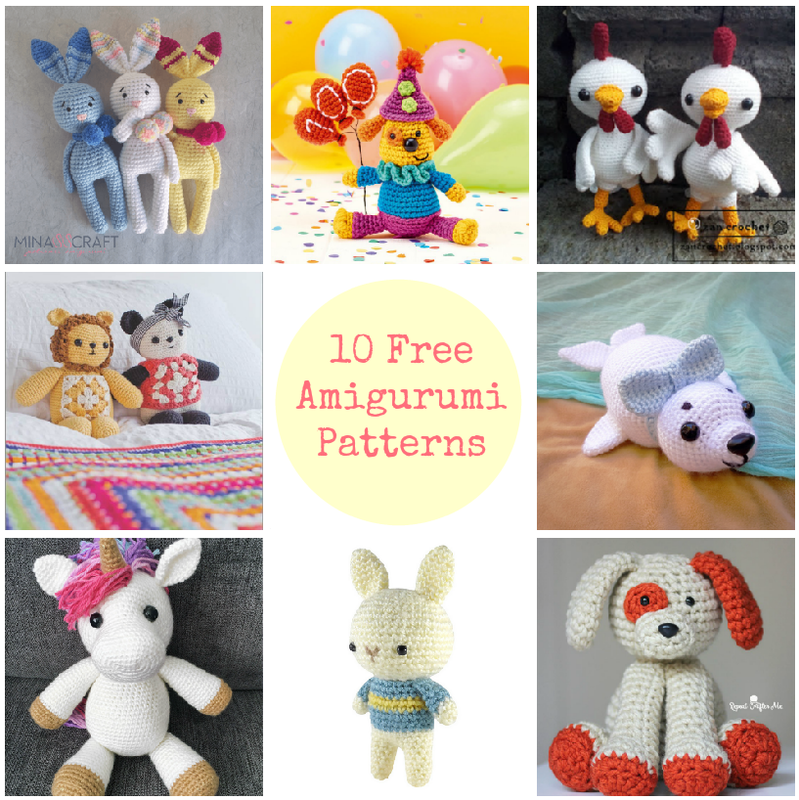 On the last Friday of every month I'll be posting my top 10 favourite free amigurumi patterns I've pinned on my Pinterest in the last 4 weeks. It will be my monthly mission to track down the best and cutest free patterns the internet has to offer. Here is what I've been pinning in May and links to where you can get your hands on the patterns! This design has been in my head for a long time and finally I've been able to bring it to life! I was going for simple, classic teddy bear so I'm quite happy with how he turned out. 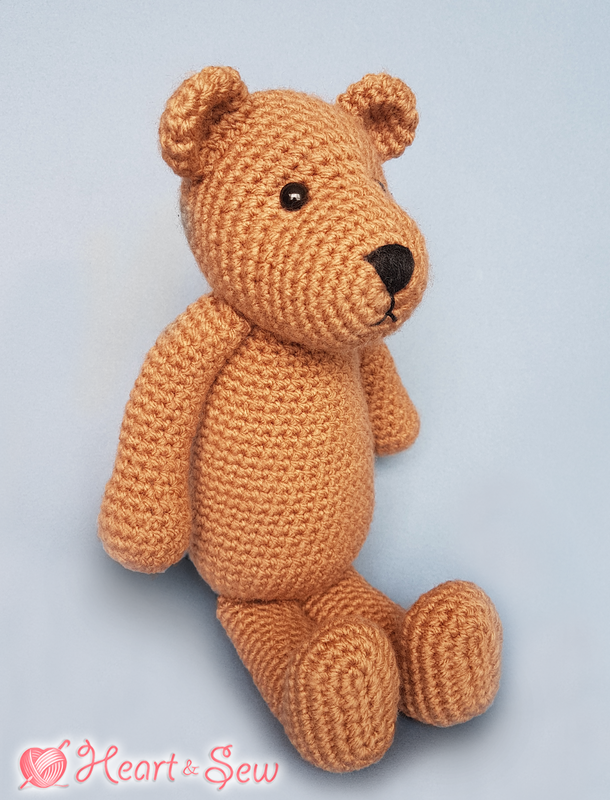 I asked those of you who follow my Facebook page to name him and by far the most suggested name was "Bertie" - so here he is, and now you can make him too! Hi everyone! Julie here. I am so excited to bring you Heart & Sew's first ever guest post and pattern! 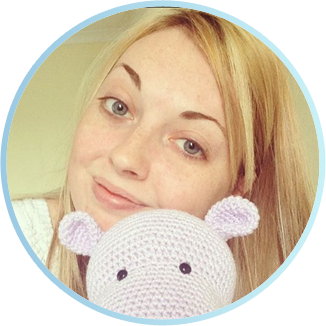 Today I'll be handing over the reins to the talented Capri from Little Bitty Critter who specialises in designing very tiny amigurumi. 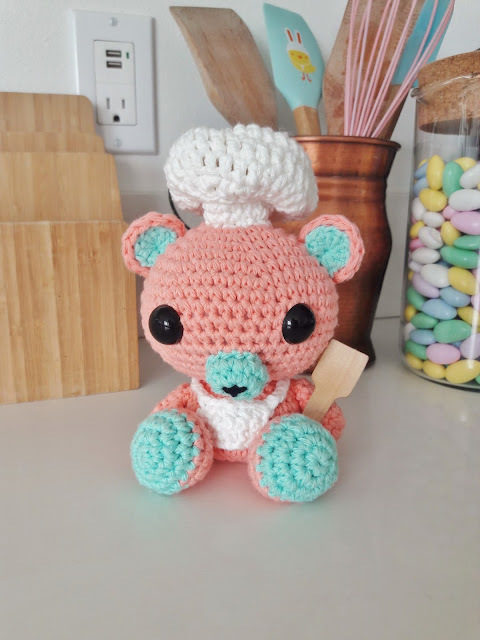 She has kindly designed this adorable little Bakery Bear exclusively for Heart & Sew readers to make, so if you do use her pattern please check out her Etsy shop where she sells her own patterns and ready made finished toys. Not only is she super talented but she's also a super sweet person and I've had a lovely time chatting and working with her. So without further ado, take it away Capri! Would you like to guest post on Heart & Sew? Be sure to get in touch!